If you're designing your own home, then there will be ideas swimming around in your head about which aspects are the most important to you. Here at G.J. Gardner Homes, the team will assist you to make your ideas a reality. The bathroom is a room in your new home that you spend a lot of personal time in, the bathroom is a room that needs to meet functional and design expectations. How do you design the bathroom of your dreams, and what will it do for your home? Some regions of Australia require you to pay for water you use, and for a family that can really start to add up. A family with teenagers will really feel the burn from those long showers! Your showers might as well be pouring money with the amount they can cost to run. 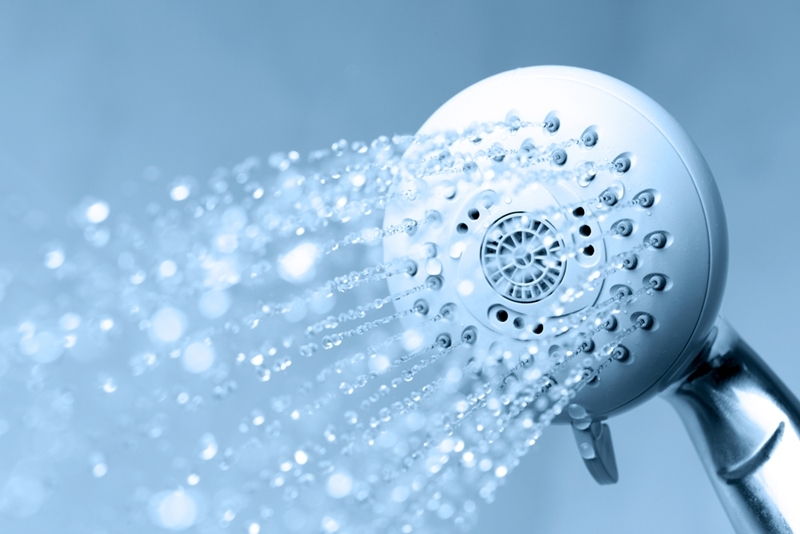 A new and efficient showerhead can save up to eight litres of water every minute, according to Yarra Valley Water. Installing new plumbing can also give you a more pleasing aesthetic and that is great news for those concerned about the styling of their bathrooms. Toilets also use an extremely large quantity of water, and for the amount of time we use them it can really start to make a difference. A single flush toilet can use up to 12 litres of water per flush, whereas using a dual flush can save as much as nine litres for every use. There are also ways that you can cut down on the usage of water, such as encouraging people not to run water continuously while brushing their teeth or shaving. This can save four litres of water every minute. Choose the best plumbing goods for your bathroom and you could save a lot of money in the long run. Plumbing goods alone generate $5 billion in revenue each year. Domain Group reports that an updated bathroom could be worth more than $100,000 in the overall value of a home. That's a staggering amount, and could tilt the scales significantly in your favour if you do ever decide to sell. People also look at bathrooms when they inspect a house, as they know how important these rooms can be. In fact, the industry in Australia is enormous. IBISWorld states that plumbing goods alone generate $5 billion in revenue each year, which shows how many Australians rate bathrooms as valuable! Your bathroom could be a very comfortable place for you to relax at the end of a long day, or start your day on the right foot. All you have to do is think about how you plan to build your new home. Concrete or stone: Which is right for your kitchen surfaces? The great debate: Bath or shower? How can implementing smart home technology up your comfort? How can you see what hasn't been built yet? On the hunt for capital gains - where should you be looking? What's the best way to organise your garage? Knocking down and rebuilding - what should you know? Why is viewing a display home such a great opportunity? The facade - what's your style? How can designing your own home add value? What are some great ways to decorate your living areas? What is a bedroom worth to you? How can your home decor reflect your personal style? What type of wood should I use for my deck? Does your kitchen utilise these 3 design features?? Which driveway material is right for your new home? How should I position my windows to increase natural lighting?